For two years, your people have struggled against the relentless onslaught of invading forces. With your army reduced to a handful and your artillery depleted, further resistance seems impossible. 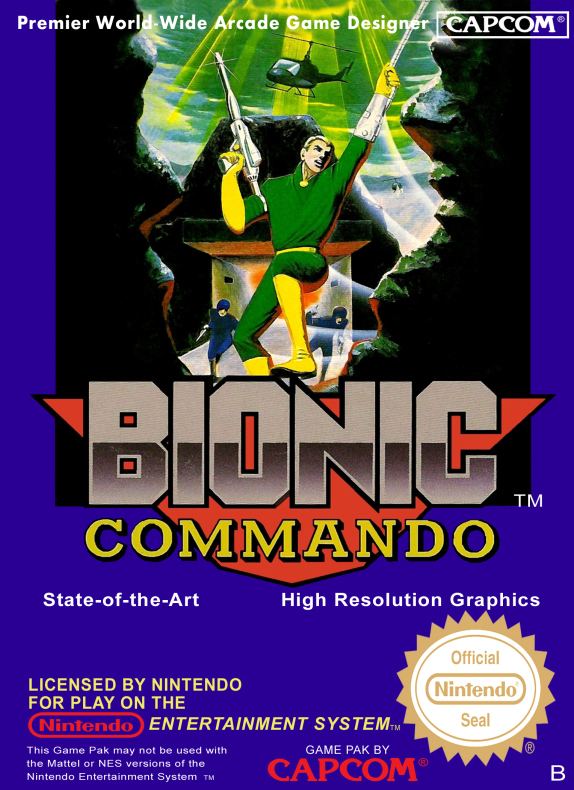 But in a hidden underground laboratory, a team of scientists has at last perfected a new kind of fighting machinery: a bionic arm that extends and contracts, providing unheard of strength and maneuverability. 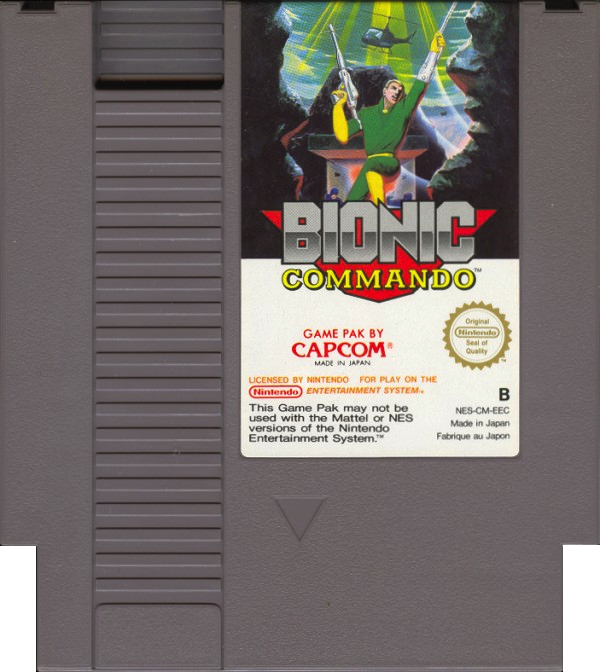 Combined with an arsenal of rapid-fire, armor-piercing and heat-seeking weaponry, this will put the power of an entire army in the hands of one man... one carefully chosen soldier, who has what it takes to become a new breed of unstoppable commando... a Bionic Commando. And you are that soldier! 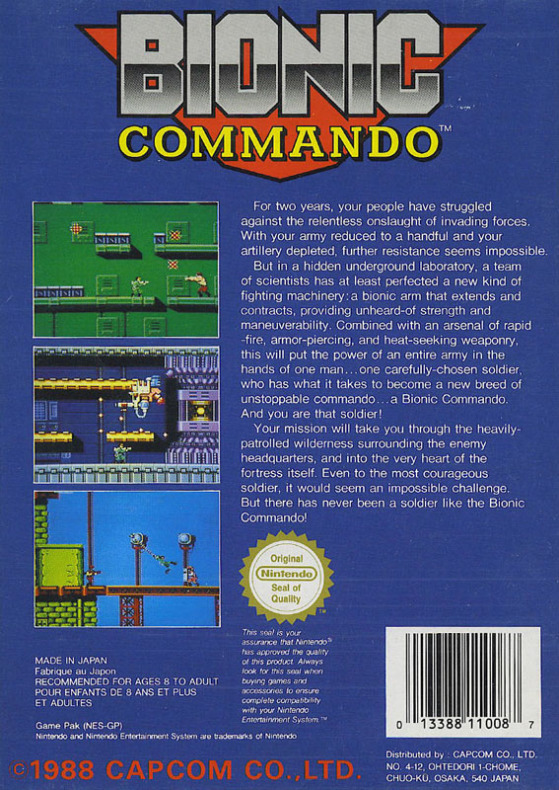 Your mission will take you through the heavily-patrolled wilderness surrounding the enemy headquarters and into the very heart of the fortress itself. Even to the most courageous soldier, it would seem an impossible challenge. But there has never been a soldier like the Bionic Commando!